Fourth plays sixth in Group E on Thursday night but all of the focus and impetus will be on the hosts. 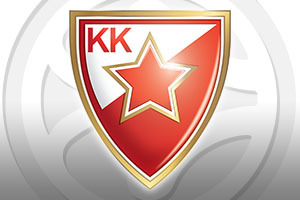 This is because a home win will see Crvena Zvezda through to the playoffs for the very first time. This is the final game on the road for Darussafaka in their first Euroleague season, so they’ll want to end on a high, leaving us with the prospect of an exciting match. With the hosts desperate for a win in this game, they’ll take some confidence from their home record for the campaign. In 11 home games this season, the side from Belgrade have triumphed in 9 of them, which means that reaching double digits for wins will be a cause for massive celebration. There is no getting away from the fact that the hosts will be wary, they lost in Turkey when they last faced their opponents, but it was a close defeat, and the Belgrade side will believe that they can turn things around in this game. A home win will see the home fans go mad, so that is definitely something to look forward to. The fact that Darussafaka defeated Belgrade 69-66 in Turkey last month will mean that they have nothing to fear in this game. Yes, an Istanbul crowd can inspire a home team to great things but the players know that they got the better of their opponents and that they can do so again. 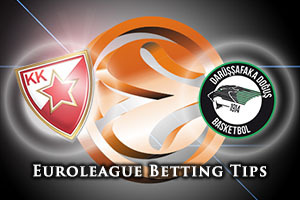 Motivation and hunger may be the deciding factor in this game but there is no denying that Darussafaka have enjoyed an excellent campaign in the Euroleague and they won’t want to bow out with a whimper. A good showing in Belgrade may be the springboard that the Turkish side need to perform strongly next season. You have to favour the hosts in this game, they have the much stronger incentive, and taking Crvena Zvezda Telekom Belgrade at -8.5, at odds of 1.90, should be a decent bet. For the Over/Under market, look to go OVER 151.5 at odds of 1.90. Bet Now!